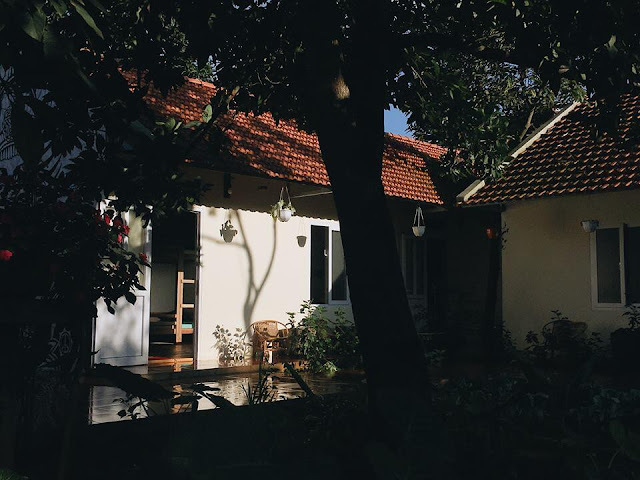 If you’re planning a Moc Chau tour and you are too familiar with hotels then let’s have a change at these best 3 homestays. 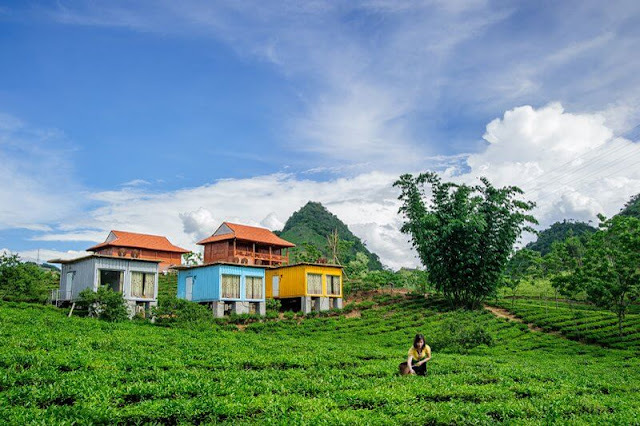 Lies within the green highland filled with tea hills and colorful flowers each season, the special aspect makes Arena Village attractive is the unique restrooms based on container. 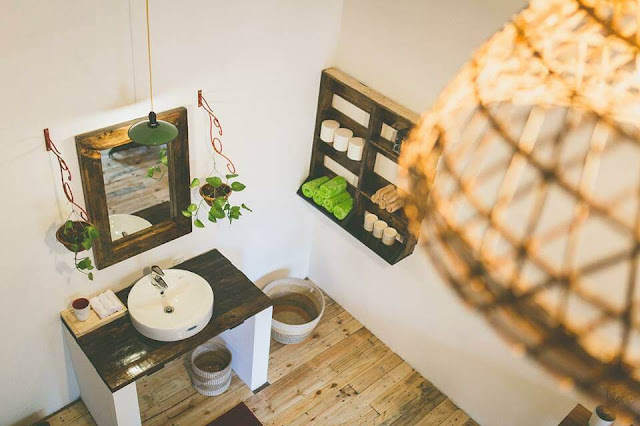 These restrooms are full of facilities, wide space, friendly with nature, viewpoint over plum gardens and green tea hills. These small, decent bungalow containers were painted with all kinds of color, and put near each other between large tea-planting land. 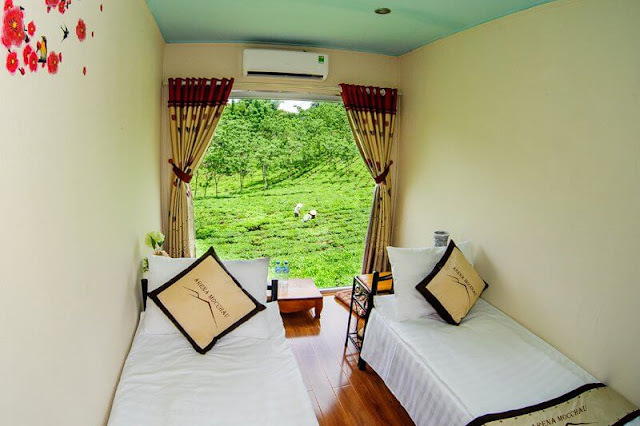 It’s both convenient for visitors to enjoy the sight while staying in the room, and also have feeling of being one with the nature. Besides Bungalow Container room type, travelers can choose to sleep in huge nhà sàn which can have 12 – 15 guests, or Japanese-style nhà sàn for 2 – 3 guests. 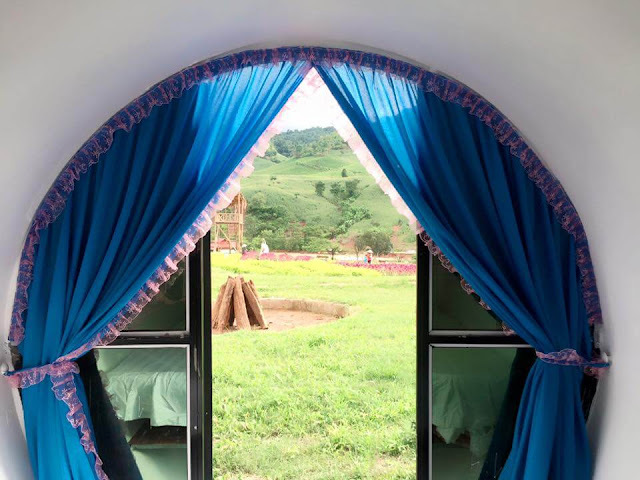 For those who prefer to have experience like the locals, they can choose to sleep in traditional nhà sàn. Resides at Hamlet 2, Tieu Khu Co Quan, Nong Truong town, Moc Chau, Bo House is a nice homestay with good photographing oppurtunities. 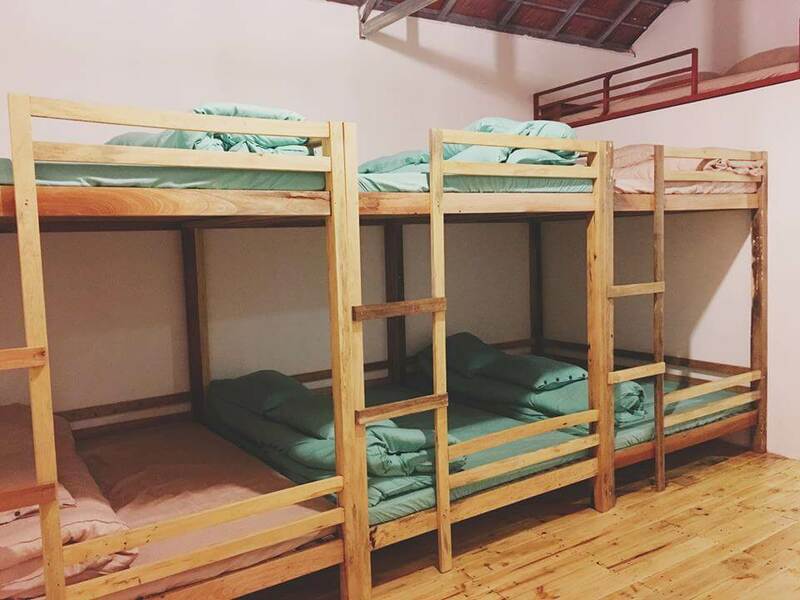 Here, you will experience cozy atmosphere like at home, clean and neat rooms with full warm bed – blanket – pillow. 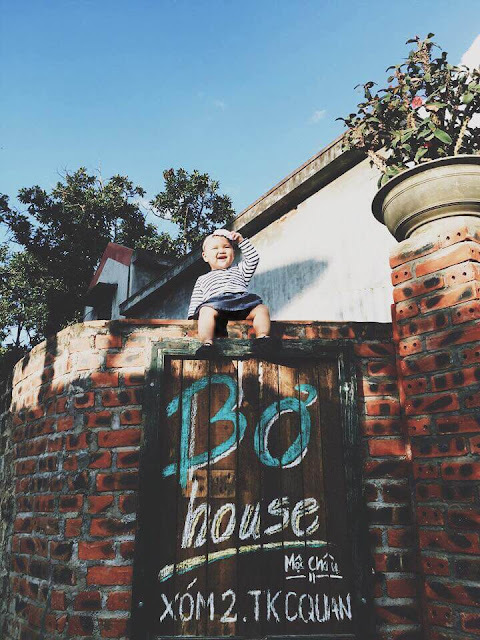 In addition, Bo House has entertainment ground, drinking café with imaginative background, provides chances to communicate, have fun, take creative photographs. Especially, Bo House has kitchen area for cooking. Market is near the homestay so it is quite convenient. 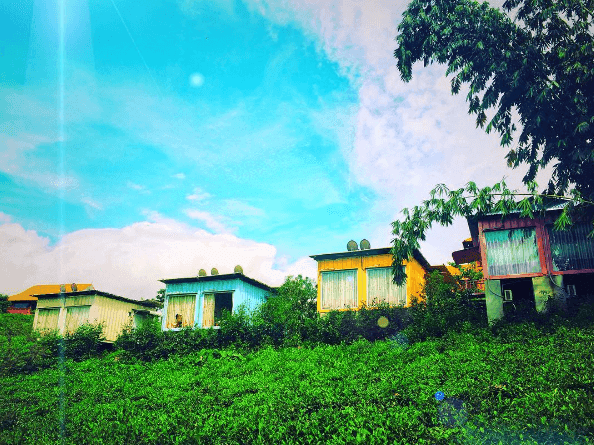 Moc Chau Happy Land tourism area resides in a land of 5 acre in the midst of a great valley in Lun hamlet, Muong Sang village. From here, visitors will be greeted with colorful flower beds, some of them are special flower species in Tay Bac. 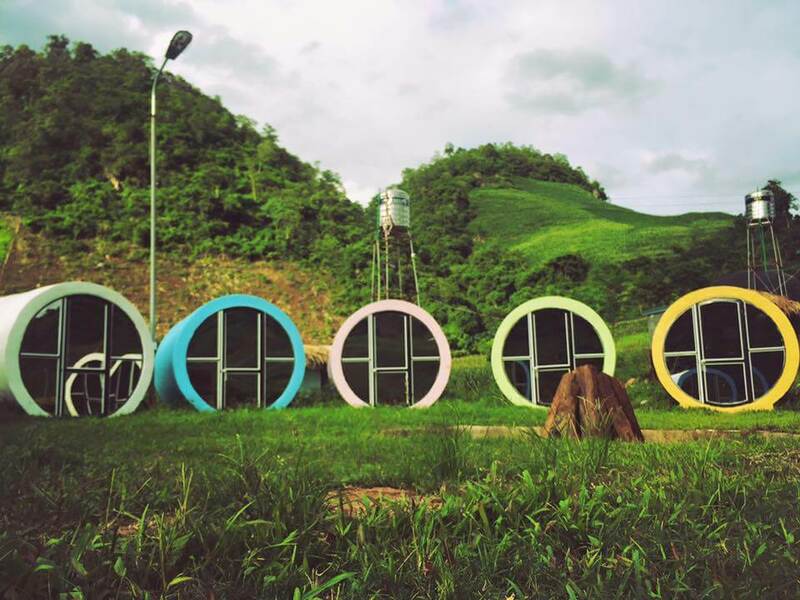 The tourism area is not only opened for visitors with the cheap price of 20.000 VND (near 1$ USD), but also has unique pipe-shape restrooms area. If you stay there, you will see all kinds of blooming flowers each morning. 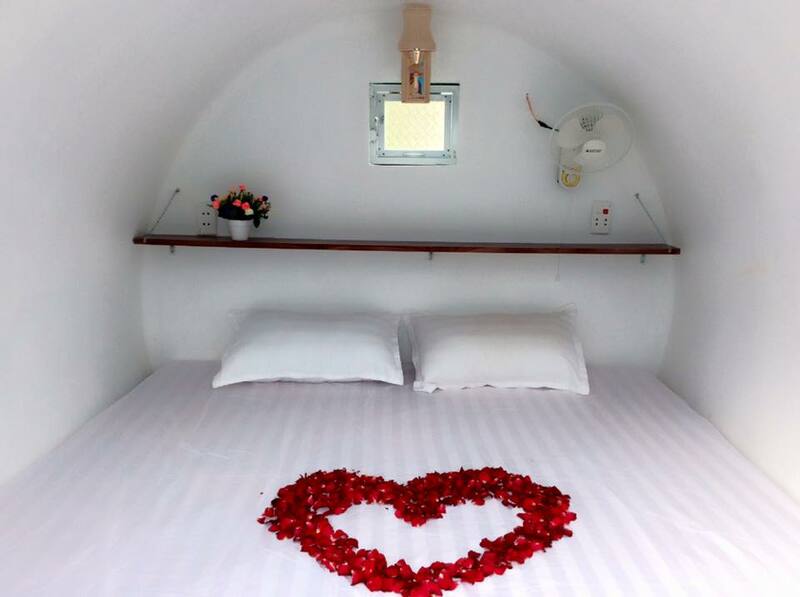 The accomodation cost is 250.000 VND per room for 2 people (plus 50.000 VND for third person). The tour ticket is 20.000 VND/person. From Mộc Châu town, go to Lóng Sập border and Dải Yếm watefell. After 3 kilometers, come to Mường Sang then turn right, with 2 more kilometers, you will see the gorgeous Mộc Châu Happy Land tourism area.